My inspiration for this dish came from the blog The Ruling Glass although I have altered the recipe extensively. 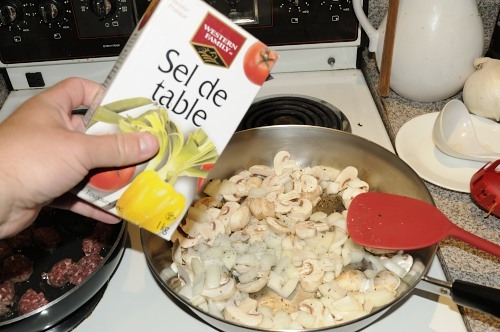 If you remove the Elk Sausage (or any meat you like) then this dish is completely Vegan friendly. 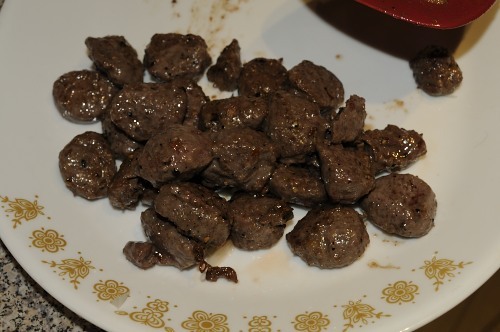 I just happened to have elk sausage and I like meat. 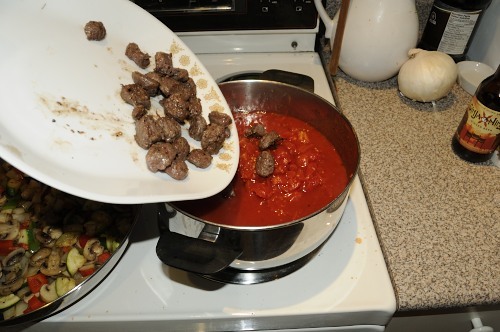 This recipe will make a ton of sauce so be ready to have a group over or have freezer containers ready. 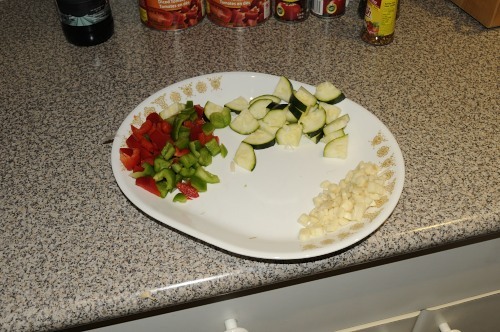 Next chop up all the Vegetables to desired size. Dice the garlic fairly small. 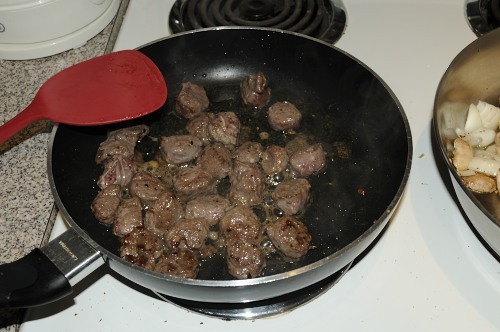 Take a small frying pan and start frying the Sausage on Medium until fully browned. Season with Salt Pepper and Chilli Flakes. 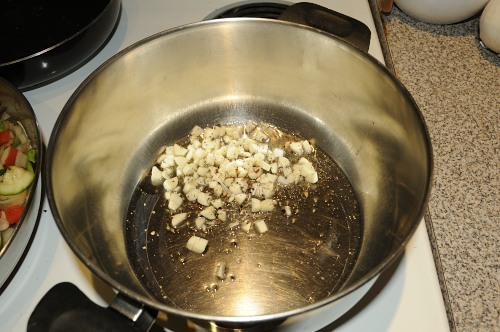 Then remove from heat. 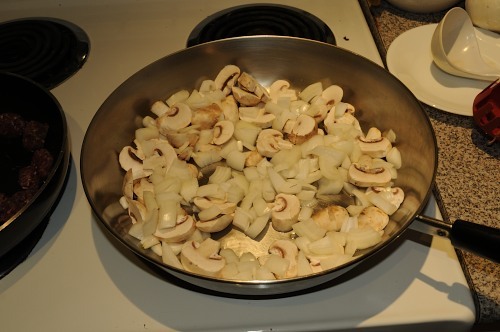 In a second larger frying pan start frying the Onions and Mushrooms on medium adding enough Olive Oil to coat bottle of pan. Season with Salt, Pepper and Chilli Flakes. 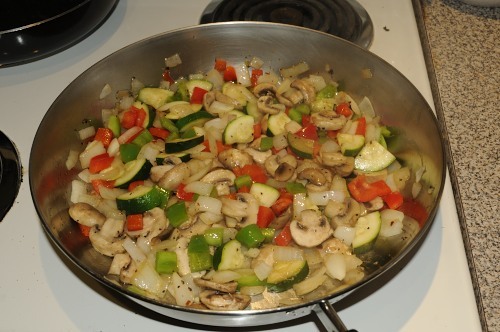 When you are happy the Onions and Mushrooms are sauteed add the Zucchini, Red Peppers and Green Peppers. 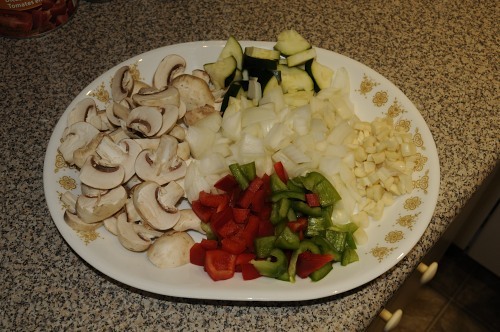 Saute these until they are fully cooked then remove from heat. Next get a Large Pot! 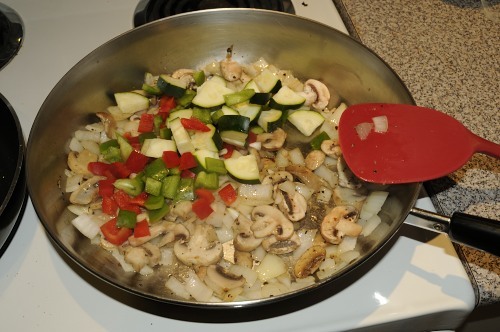 Add enough Olive Oil to coat the bottom of pan and heat at Medium. 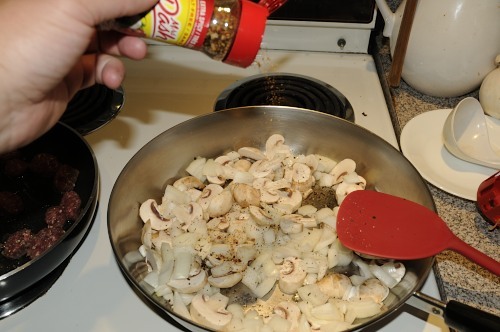 Once hot add Garlic to pot and season with Salt, Pepper and Chilli Flakes. 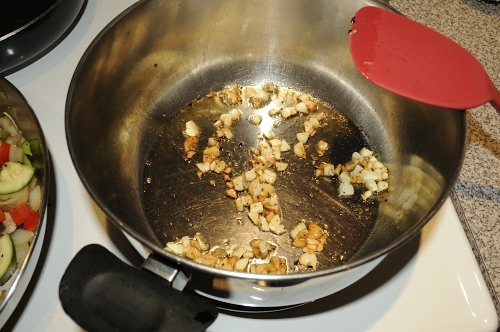 Fry the Garlic in the pot until it softens and browns up a bit. This is where it gets good! 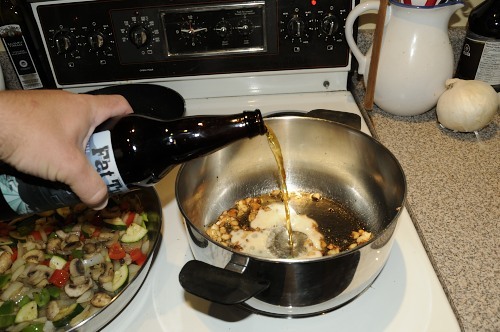 Grab your 650ml bottle of Double IPA and pour half the bottle into the pot (The other half into a glass to drink). 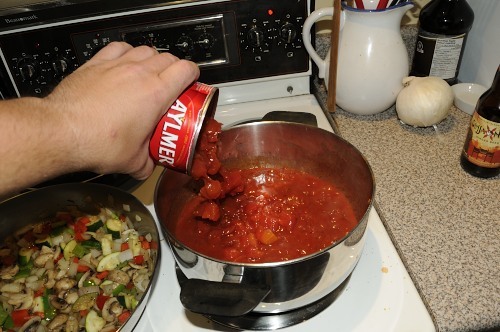 Also add both cans of Tomato Paste. 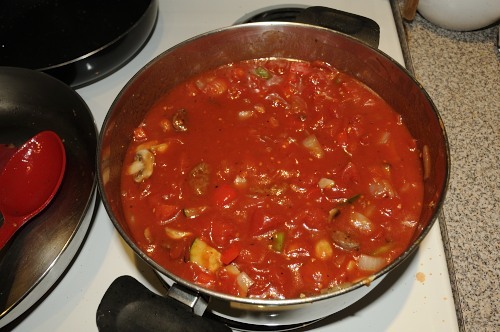 Stir the sauce until it is mixed well then add both cans of Tomatoes the Meat and all Vegetables and stir well. Season more if you like. I did! 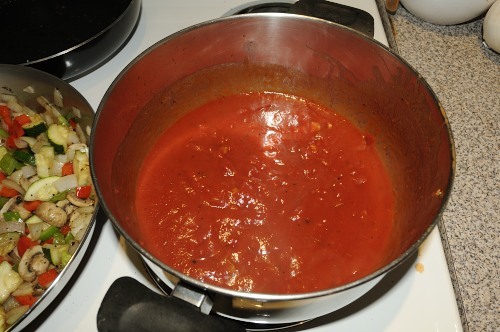 Leave temperature at Medium and let the sauce start to bubble. 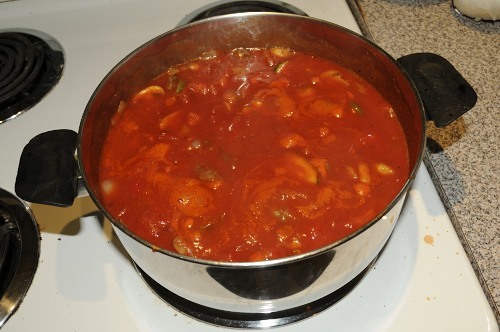 Once bubbling turn the sauce down to low and let simmer. 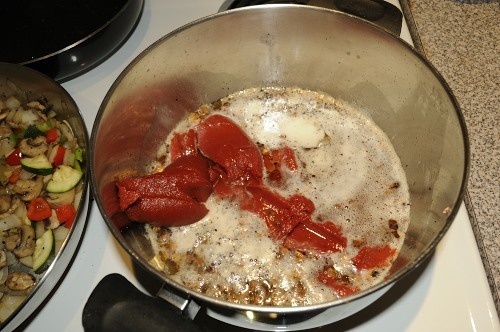 Simmer for 3 to 3.5 hours stirring often. 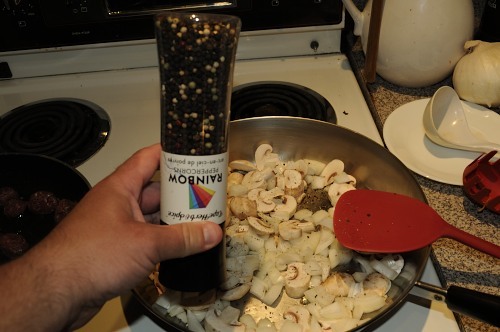 If the seasoning is still not right add more. 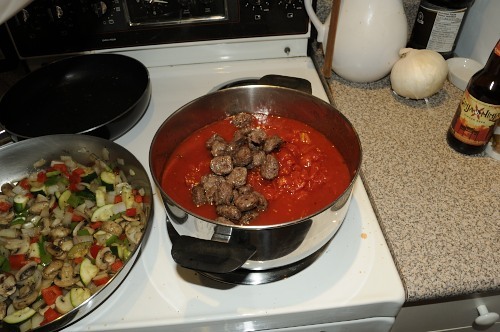 The last step is to cook up your favorite style of pasta and enjoy! 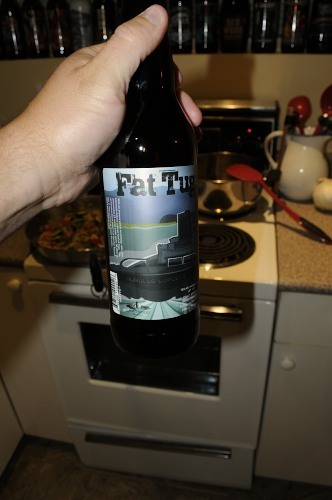 Between My Girlfriend, a Friend and I we all agreed this tasted awesome! 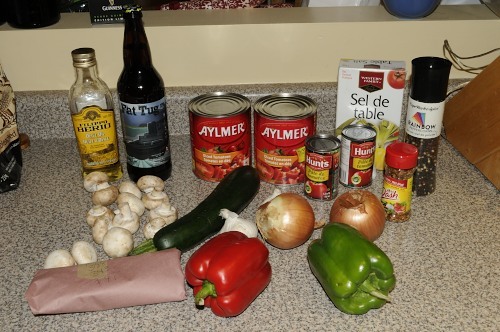 The Double IPA really adds an earthy and herbal flavour to the Pasta sauce with compliments the Vegetables and spices well. I found the Elk Sausage at a Butcher Shop in the Vancouver East Village near Hastings and Nanaimo. It is called Rio Friendly Meats. 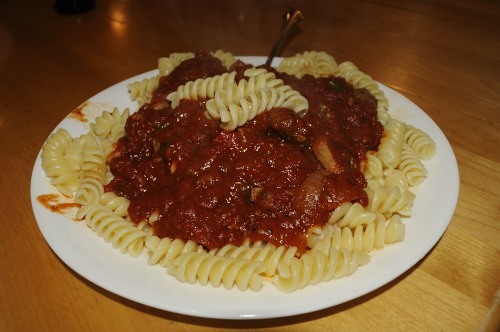 This entry was posted in Cooking with Beer, Double IPA and tagged chilli flakes, diced tomato, diced tomatos, double india pale ale, double ipa, driftwood brewing, elk sausage, fat tug ipa, food, foody, garlic, green pepper, india pale ale, IPA, olive oil, onion, onions, pasta, pasta sauce, pepper, red pepper, salt, tomato, tomato paste, tomatos, zucchini. 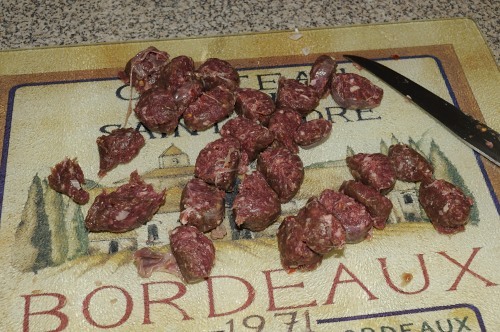 Elk Sausage from Rio is a staple for me! I used to live right down the street, now I’m a ways away but still make the trek fairly regularly. Their lamb patties and bacon is also good, along with their pre-seasoned chicken breasts. 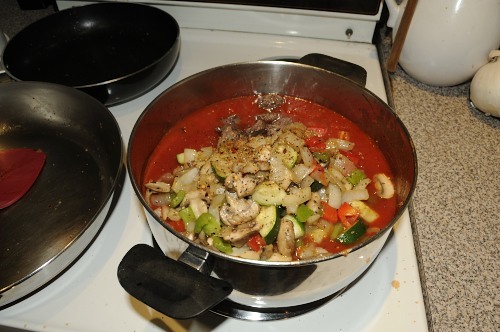 This looks delicious – I will likely try your recipe out sometime soon. I just found the place recently but I think my food and beer posts will have more meat from them in the future. Thanks for the recommendations on other meat to get also! Sounds really good!